MENDOZA, Argentina (AP) — Argentina beat South Africa in coach Mario Ledesma's first home test in charge as the Pumas produced a rampaging first-half performance in a 32-19 victory in the Rugby Championship on Saturday. 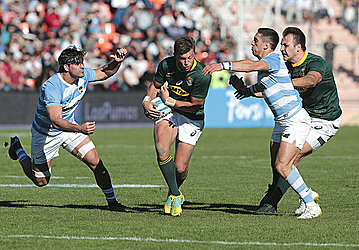 The hosts scored four touchdowns and flyhalf Nicolas Sanchez collected a try and 17 points in total to give Argentina its third win over South Africa, all coming in the last three years. Argentina led 27-7 at halftime and 32-7 early in the second half despite South Africa captain Siya Kolisi having claimed the game's first try. 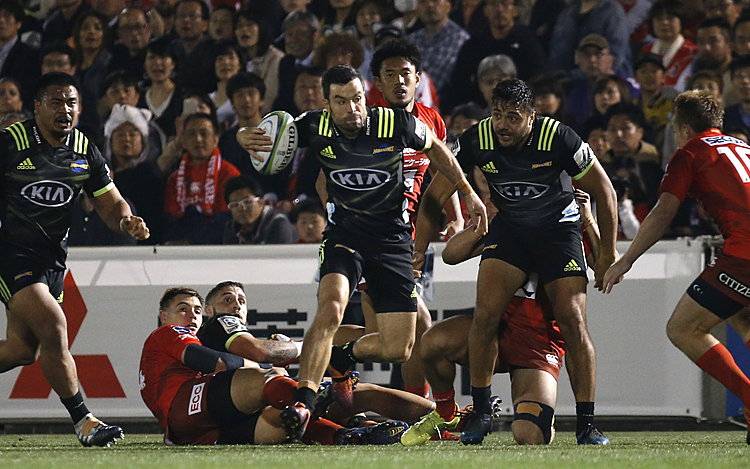 Ledesma's team scored three tries in the space of eight minutes in the first half, wrestling control with a double by right wing Bautista Delguy and one by Sanchez. It was a first test win this year for Argentina, which lost three straight home games in June to see the end of former coach Daniel Hourcade. Ledesma started with a loss to the Springboks in South Africa last weekend.